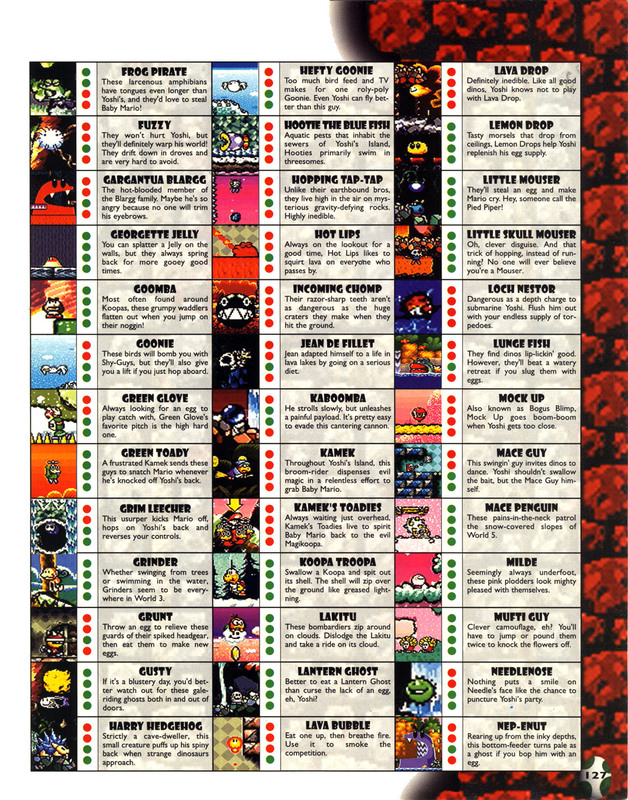 Frog Pirates are a species of frog in Super Mario World 2: Yoshi's Island and Yoshi's Island: Super Mario Advance 3. They live in the swamps and wetlands of Yoshi's Island and are found primarily in the third World of the game. If a Yoshi comes too close to one, it will lash out its tongue and try to steal Baby Mario. Stepping on its head only disables it for a moment, so Yoshi should instead try to throw an Egg at the frog or swallow it. Spitting out a Frog Pirate will only make it fall off the screen, enabling it to respawn later. The World 3 mid-boss Prince Froggy is based on this enemy, and unlike other bosses in the game, bears no visible differences to the enemy he is based on. 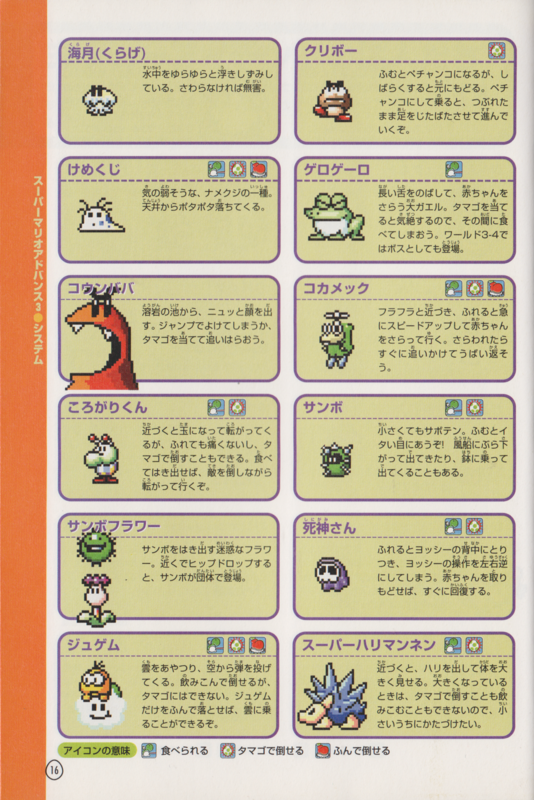 In the Japanese version of the game, Prince Froggy and Frog Pirates have the same name (Gerogēro). This page was last edited on November 17, 2018, at 20:28.